Led by a new artistic director — Stan Foote is retiring — Oregon Children's Theatre promises to take audiences "on a journey into fantasy worlds big and small, transport us to places near and far, take us back in time, and even show us the wonder in our backyards" in the 2019-20 season. The OCT Young Professionals Company will put on three shows at its YP Studio Theater: "DNA," Oct. 25-Nov. 10; Impulse: OCT Improvisational Troupe, Jan. 17-Feb. 2, 2020; "The K of D," May 1-May 17, 2020. For the past year, inmates at Coffee Creek Correctional Facility in Wilsonville have helped raise and care for nearly 750 endangered Taylor's checkerspot butterfly larvae as part of a collaboration with the Oregon Zoo, U.S. Fish and Wildlife Service and Institute for Applied Technology. Recently, the growing caterpillars were sent back to conservation biologists at USFWS for release on western Oregon prairies near Corvallis. It's the second release of Taylor's checkerspots in Oregon, the first was last year when 562 Coffee Creek-reared caterpillars were released. "Having a captive rearing and release program in Oregon is vital for the recovery of Taylor's checkerspots," says Ronda Naseth, an Oregon Zoo butterfly conservationist who advises the program at Coffee Creek. Another team of inmates is dedicated to the care and harvest of the 2,200 plantago plants that feed the larvae. 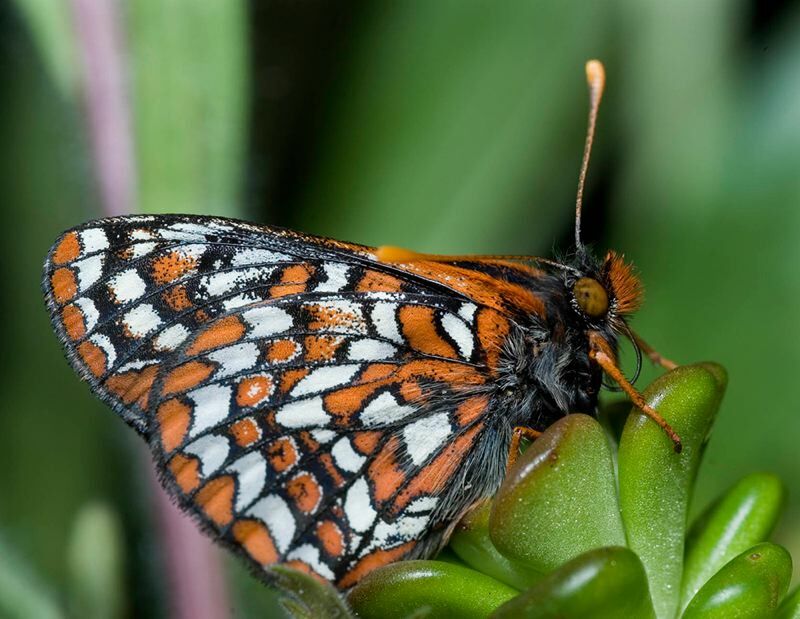 The Oregon Zoo has provided more than 28,000 checkerspots for release since joining the recovery effort in 2004. Portland designer Michelle Lesniak, winner of season 11 of "Project Runway," has added another accomplishment to her resume. She's the winner of the final season of "Project Runway All Stars," beating out 13 other designers from around the world with her "Harvest Mood" designs. She'll receive a fashion spread in Marie Claire magazine and a position as contributing editor for a year, a complete sewing studio, a trip for two to London, and the opportunity to create a signature nail color, as well as $100,000 for her business and brand. Ozzy Osbourne won't perform in Portland this year after all. He suffered an injury while also battling pneumonia and had to postpone his entire 2019 concert lineup. He fell at his home, aggravating an injury from a 2003 ATV accident, and underwent surgery. The July 16 show at Moda Center has been rescheduled for July 15, 2020. Purchased tickets apply. To keep track of Ozzy, see www.ozzy.com.